OUR MISSION AND HISTORY In 1969, the late Bruce McCarty, then-President of the local AIA, returned from a trip to the community design center in Philadelphia and gathered roughly forty local professionals to discuss the need for such a center in this region. 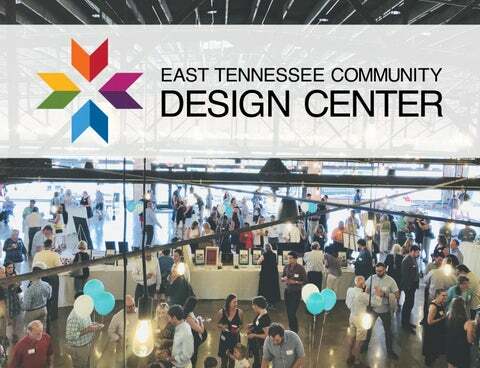 On April 15th, 1970, the East Tennessee Community Design Center (ETCDC) was founded. The ETCDC is a 501(c)(3) nonprofit organization. The objective of ETCDC has been to make East Tennessee a better place by bringing professional design and planning assistance to communities and organizations lacking resources to acquire those services without our help. Our mission is to Envision, Inspire, and Improve East Tennessee communities through design, collaboration, and leadership. ETCDC also serves as a catalyst to initiate projects within our service area and serves as an advocate for quality design in the public realm. ETCDC offers these services through the pro-bono contributions of area architects, landscape architects, planners, engineers, and other professionals. Since its founding, the East Tennessee Community Design Center has completed over 1,080 projects in the 16 county region it serves! The ETCDC had been involved in several projects throughout the years on the Montvale site, so we were enthusiastic about helping a worthy organization such as Harmony Adoptions of Tennessee to continue to use the site to its fullest potential. The ETCDC provided base plans for the entire 400+ acre site, showing existing structures, past structures, and roads. A more detailed and rendered plan of the central campus area was also prepared. Harmony Adoptions can use these base plans as they move forward to rebuild, refurbish, and revitalize Camp Montvale. This project will result in Montvale continuing to serve the youth and families of East Tennessee for years to come. The ETCDC worked with the Jellico Seventh Day Adventist Advisory Committee to develop a community walking trail system, enhanced playground, baseball field, and creek stabilization system using stone rip-rap, willow bundle staking, and a rock weir. This will allow for controlled drainage and help stop erosion from rainwater runoff that was damaging their campus. The Clearfork Community Institute is a local organization that works for the betterment of their rural Appalachian community by focusing on gaining knowledge through work and understanding culture and heritage. 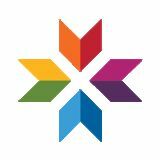 The ETCDC, working with former Clearfork Executive Director, Marie Cirillo, volunteers Sara Hedstrom, ASLA, Robert Marlino, Associate AIA, and planners Annette Anderson and Bob Wilson, was able to assist them by creating a master campus plan. This master plan includes landscaping elements and a renovation plan for the former Eagan School on their property. The plan and guidelines created by the ETCDC are still in use today, directing the new campus developments. Tanner Preservation Alliance requested help with preserving Tanner School in Newport. It is the site of a historic Rosenwald School. These African American schools were built in the early 1900s and funded by Sears and Roebuck president Julius Rosenwald. With the help of volunteers from Michael Brady Inc. the ETCDC developed a conceptual site plan and floor plans, allowing the building to be renovated for future tenants. ADA accessibility was studied and implemented in the new design. Tanner School was also awarded the first annual Annette Anderson Directorsâ&#x20AC;&#x2122; Award. In 1975, a group of local citizens came together to save the recently closed 1892 Rose School building in downtown Morristown. They established the Rose Center for the Arts in 1976 and in 1980 came to ETCDC for assistance. Their request was for a comprehensive assessment of the buildingâ&#x20AC;&#x2122;s needs and a phased renovation plan to develop a state of the art facility. The Rose Center still operates today, showcasing permanent collections and historic exhibits as well as educational programs, art classes and a stream of unique exhibits and performances. Dandridge Community Trust, which was affiliated with Main Street USA, requested help in studying Historic Downtown Dandridge. After several public input meetings, the ETCDC, with volunteer advisors, Barbara Pearman, AICP and Ben Pethel, ASLA, proposed a downtown master plan. The master plan made the city more pedestrian friendly, environmentally-conscious, and enhanced the existing historic aesthetic while maintaining the authentic local character. Parts of the master plan have been implemented, such as revising the existing power and light poles and adding landscaping at the Jefferson County Courthouse. The Delaney House is owned by the Beck Cultural Exchange Center in Knoxville. They are a nonprofit focused on archiving and telling the stories of the regionâ&#x20AC;&#x2122;s African-American residents. The house, located beside Beck, was the former family home of internationally-famous artist brothers Joseph and Beauford Delaney. The ETCDC provided renderings for the renovation of the home as well as a plan to convert one of the bedrooms into a Parisian-style apartment for visiting artists and lecturers. The ETCDC was asked by the Friends of the Tellico Village Public Library to develop a schematic design for a new building. They wanted to increase their space for collections, have more functional areas for improved patron services, areas for staff, and develop an outdoor space for patron use. They also wanted to follow sustainable design practices, such as daylighting. Funding for the project was acquired and ETCDC volunteer Gregor Smee, AIA, was awarded the project. The Library was opened to the public in October 2012. Good Shepherd Center is a nonprofit crisis food and clothing pantry. Their crisis support services are offered to any resident of Monroe County who needs assistance. Over 2,100 clients per month come to the center to request food, clothing, or financial aid. Good Shepherd Center requested the assistance from ETCDC to analyze their existing facility, staff and client flow, and develop options for renovation and expansion. Good Shepherd Center was awarded the 2017 ETCDC Annette Anderson Directorsâ&#x20AC;&#x2122; Award. The ETCDC worked with a local community group to help create a plan to restore and preserve the bell and clock tower on top of the historic Morgan County Courthouse. The Courthouse, constructed in 1904 and located in downtown Wartburg, Tennessee, is a local landmark. Thanks to the help of the ETCDC, the tower was saved and is standing beautifully today. Triangle Park Association is a nonprofit organization that focuses on strengthening their local community through education and mentoring. TPA requested aid from the ETCDC and volunteer advisor, Frank Sparkman, AIA, to design a new facility that would help to improve the local neighborhood and park, while acting as a center to mentor and educate local youth. The ETCDC has proposed a two-story building that is approximately 4,000 square feet. The organization will be able to work from this location to develop educational programs, community events, homecomings, and to help local churches and community based organizations. The ETCDC was asked to assist the Arrowmont School of Arts and Crafts in Gatlinburg, TN in developing a master plan for the campus. The project focused on a new entry for the Arrowmont campus, developed a central hub for large events, and included renovated and new structures. The November 2016 Gatlinburg fire destroyed two dorm buildings built in the 1990s, but the historic structures on campus were not damaged. The Design Team consisted of ETCDC staff, volunteer professional architect Brandon Pace, FAIA, Principal with Sanders Pace Architects, and landscape architects, Bill Bruce, MLA, Principal and Judy Nilsson with CRJA-IBI Group. The new entrance and dormitories were constructed in 2017. The City of Maynardville and Union County Chamber of Commerce requested design assistance from PlanET to create a downtown land-use plan and streetscape design conducive to help promote economic development, increase the visibility from Highway 33, and make the town more visitor and pedestrian friendly. The project was accepted in the fourth quarter of 2012 to become a PlanET Demonstration Project. PlanET then contracted with the Community Design Center to conduct public input meetings and develop supporting visual images that would explain the new design concepts. The Vision Plan is still used today to promote redevelopment in the community. Thanks to all of our volunteers and supporters who make our work possible!